Our Story is Your Story. Your Impact is Our Impact. 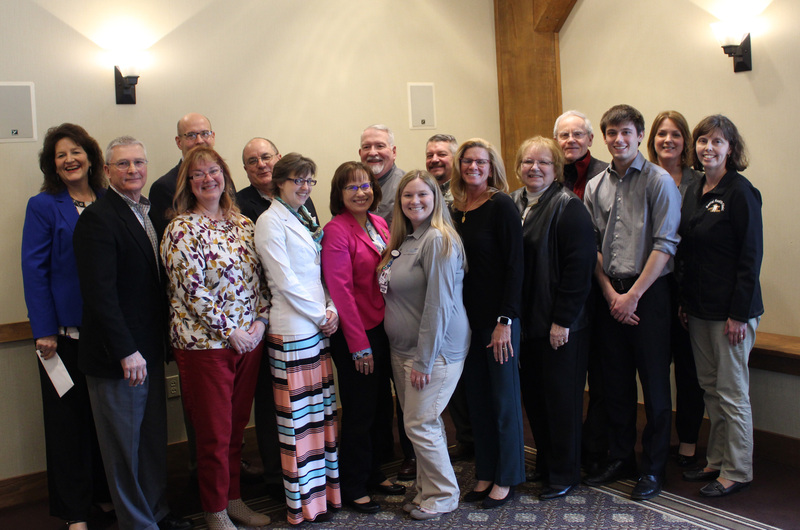 Thank you to everyone that attended our 2019 Annual Meeting on March 6 and helped us celebrate 20 years of service in the Central Susquehanna region. This year’s event provided a unique opportunity to turn to storytelling to reflect on the impact CSCF has, and to hear those stories from your perspective. Jerry Stropnicky served as our story facilitator, prompting our 14 storytellers to share about a moment, experienced or witnessed, made possible by CSCF. “This Foundation is doing great work—so much has been done, so many lives touched. This is our chance to share our stories of impact and inspire each other as we weave a beloved community,” Jerry explained. During the meeting, we heard from nonprofit representatives and clients, donors and fundholders, Foundation board members and staff. For CSCF staff, working with the many generous hearts in our community inspires us the most. “Somehow, I ended up getting the opportunity to work with all of you, and that’s absolutely my favorite part. I get to see the grant recipients, hear their stories and see their smiles because they’re serving people. They're able to do so much more because of your generosity,” Kara Seesholtz, CSCF chief advancement officer explained.